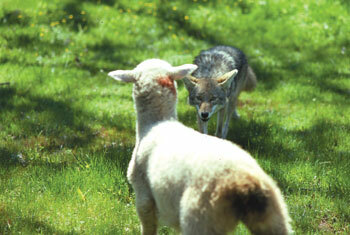 The photo below, provided by the Ontario Sheep Marketing Agency, tells an increasing familiar story about coyote predation on Ontario farms. The Ontario Federation of Agriculture says the situation is out of control. Several opinions about what to do have been put forward, including putting a bounty on the animals, such as the one announced earlier this month in Saskatchewan. I write about the problem in today’s Urban Cowboy column in the Guelph Mercury.